For details on the scope of the review, please see President Trump’s executive order of April 2017. The Secretary of the Interior is to provide the President with an interim report within 45 days, and a final report within 120 days. 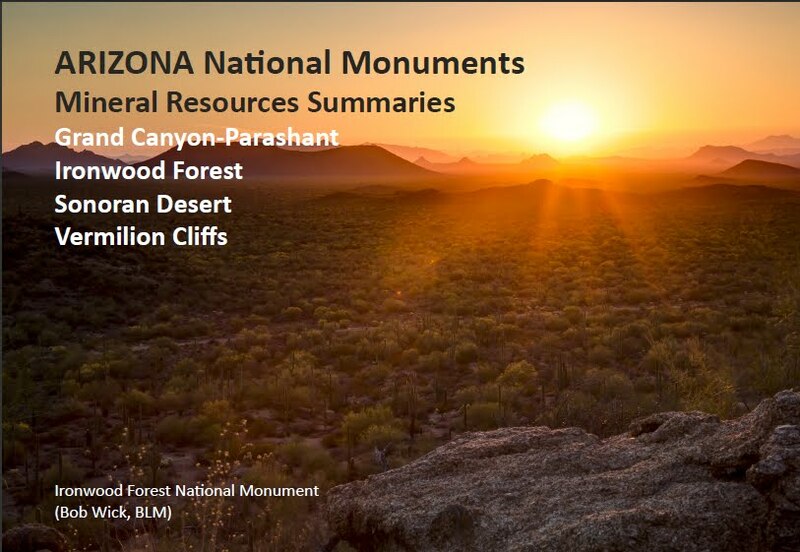 We compiled foundational information on the scope and nature of the mineral resources for each of the four monuments and published them online at the AZGS Document Repository, ‘Arizona National Monuments Mineral Resources Summaries‘. 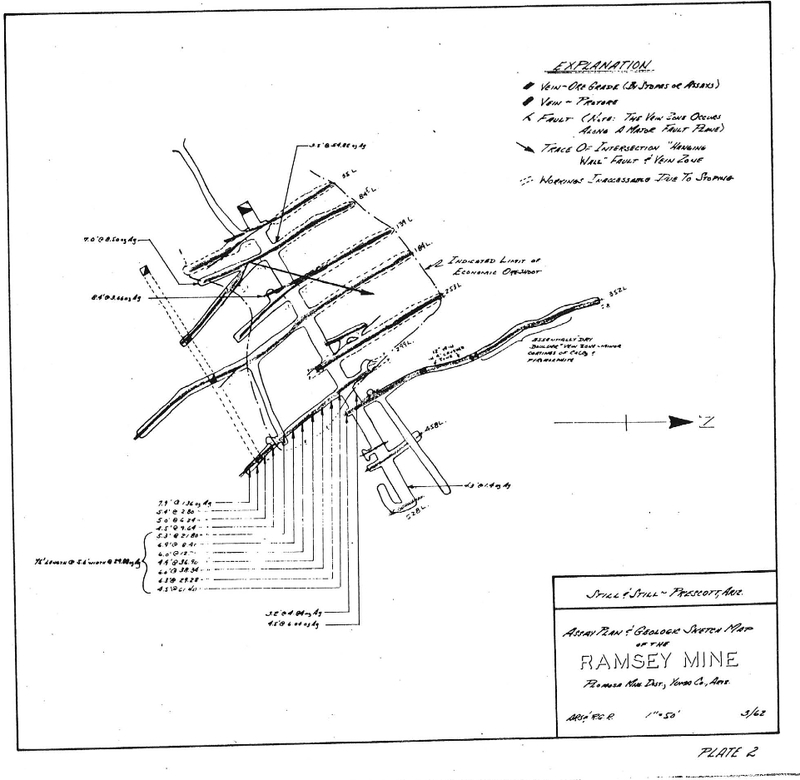 Information included in each summary: date established, land management responsibility, footprint (in acres), physiographic elements, basic cultural and mineral resources information, and literature resources. 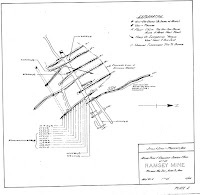 These one- to two-page summaries are not exhaustive, but they do provide a thumbnail sketch of mineral and other resources, and provide citations for published literature that can be consulted for more details. For additional information or comments, please feel free to contact Mike Conway at fmconway@email.arizona.edu or 520.621.2352. The AZGS was notified last week that we will be receiving $64k from the National Geological and Geophysical Data Preservation Program, administered by the USGS, for FY18. We will be supplying the required state match, for a project total of ~$130k. Funding is expected to begin in September 2017. 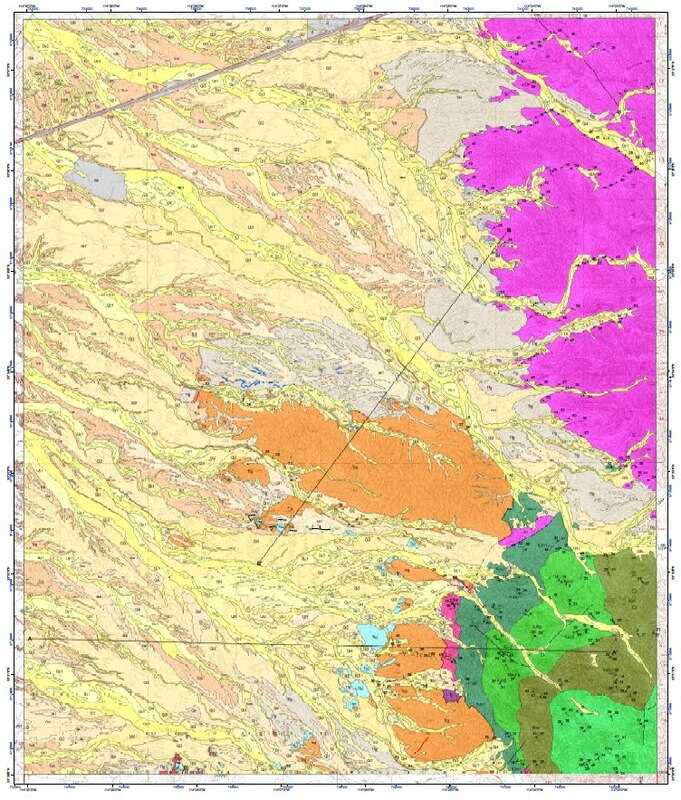 This is an exciting opportunity to continue the very important process of bringing our older digital geologic maps up to modern standards, making the map data available in a variety of formats that are useful for current consumers of geologic data, and establishing a permanent archive for our geologic data and products. The NGGDPP was created by Congress in the Energy Policy Act of 2005 to preserve the geological history of the United States. By funding the preservation of geoscientific data and participation in collaborative efforts focusing on technology and data management, the NGGDPP is advancing the agenda for data preservation and collections management and creating guiding principles for the scientific community in geoscience record keeping. The AZGS participated in this program for about a decade, but our proposal to the program last year was unsuccessful. This year we presented a clear vision to begin to preserve and modernize our digital geologic products, and establish a permanent digital archive through the University of Arizona Library System. The review panel NGGDPP obviously liked these ideas a lot – we have the potential to be a role model for other state geological surveys when we execute the plans outlined in the proposal. 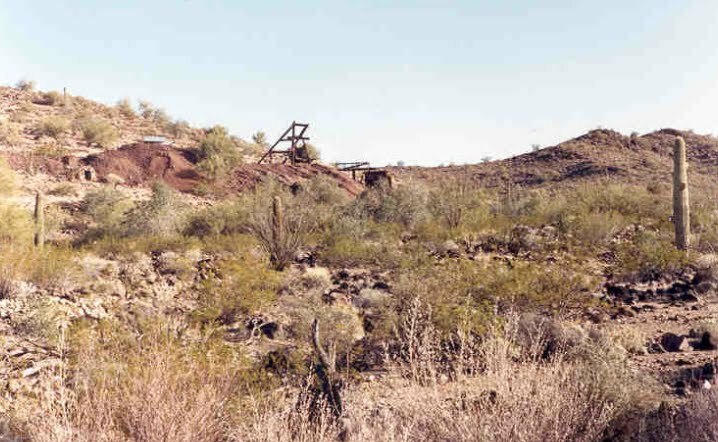 The AZGS has been committed to making its geologic products available to the public online in digital formats for the past decade, but due to severe budget constraints and other dislocations, maintaining repository functionality is an ongoing challenge. The recent transfer of AZGS to the University of Arizona highlighted the potential fragility of our digital data, but it also presented an opportunity to adopt a more stable long-term digital archive. Since 2000, our geologic maps have been constructed using evolving versions of ESRI ArcGIS programs. 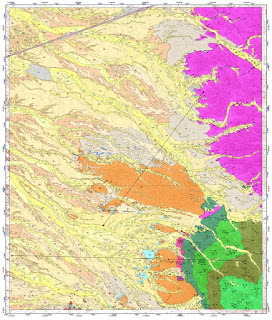 Advantages to building geologic maps in a digital GIS environment include: 24/7 access to digital PDF versions and GIS data for users with GIS platforms; and, at least theoretically, geologic map data can be updated and new versions of the maps released. All AZGS digital maps are available in static form as PDF files, but older map data are not easily used in modern GIS platforms, and associated geodatabases and supporting data are not consistently available at our online repository. Editing and updating geologic maps has proven to be more problematic due to changing GIS platforms and data structures. This is especially true for maps developed prior to the adoption of the NCGMP09 standard design for the publication of digital maps, which was released in late 2009. With this funding, we will begin to: 1) preserve our historical digital geologic maps, while updating, enhancing and releasing fresh versions of these maps; 2) issue the map data in a suite of formats useful to consumers of geologic and GIS data, while assuring continued public access to our digital geologic data; we will release new geologic maps currently in development in these formats as well; and 3) establish a stable, permanent digital archive of AZGS products in the University of Arizona (UA) Library system. These are large tasks, but combined with the recent great news about our renewed state appropriation, we expect to be able to substantially improve the quality and accessibility of our digital geologic products in the next few years.